Thanks to Julep, my nail polish collection has greatly expanded. But I am not complaining. It's always nice to have a variety of different nail colors and finishes. My March Julep Maven box recently came in, and although all of the maven boxes looked amazing this month, I decided to go with the Bombshell box. My March box contained two nail colors (Lilou and Monaco), a lip gloss (Adored), and a cotton candy flavored stick candy treat. I also went ahead and added on a nail color (Tania). Lilou: I was really surprised by this lemon yellow creme. I have tried my fair share of yellow nail colors and almost always they prove to be a challenge when it comes to application. But Lilou was actually easy to work with. It only took two coats for an opaque and streak free finish. Monaco: This mariner blue creme is just all kinds of wonderful. The color is super flattering on, and application was a breeze. Two coats is all you need for a smooth and opaque finish. I can already tell that Monaco is going to be one of my favorite colors to sport this Spring/Summer! Tania: There is no denying that Tania is a stunner. I am just smitten with this bright teal glitter. It's very opaque, and it makes for a fabulous accent on the nails. Love! Adored Lip Gloss: Adored was just one of the many customize-able glosses offered in this month's box. Since I gravitate towards pinks, the sheer pink hue of Adored was just right for me. 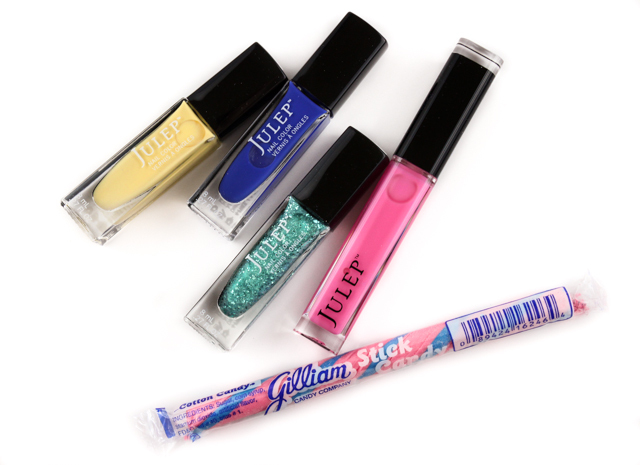 The gloss feels smooth and light on the lips, and it's very long lasting. It also has a yummy sweet fragrance. If you are interested in signing up for your own Julep Maven box you can do so, here. 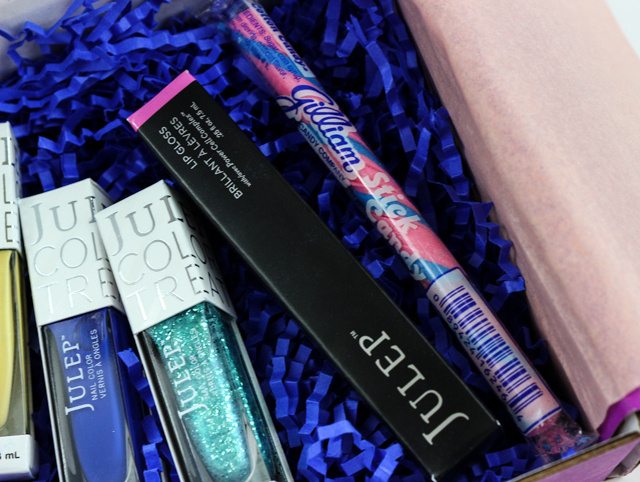 What did you all receive in your March Julep Maven Box? Disclaimer: I purchased my own monthly Julep subscription. This post contains referral links. For more information, please visit my disclosure page. 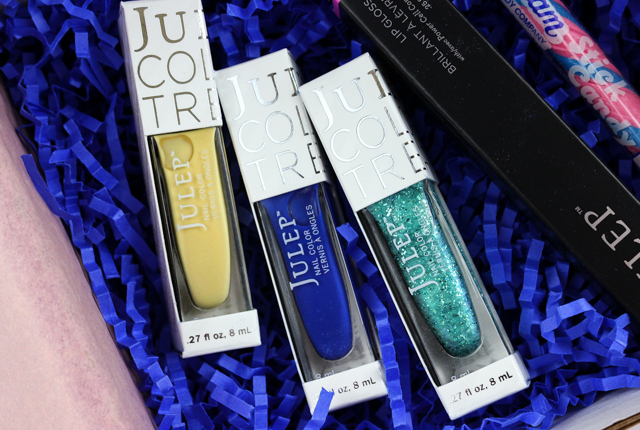 I really love how julep nail polishes are packaged, they look so sleek and luxe! I love that cobalt blue and teal glitter shade! The pink gloss I'd like to have too! I love Julep's sleek looking bottles as well, Sharlynn! Such pretty nail colors! I love these for spring, especially the blue. Julep's Monaco nail color is everything! It's such a great color for spring and summer! I wasn't thrilled with this months colours, but I'm definitely going to have to pick Tania up.. so beautiful! Tania is a must-have! It's super gorgeous! Tania is for sure going to be one of my go-to spring / summer colors!